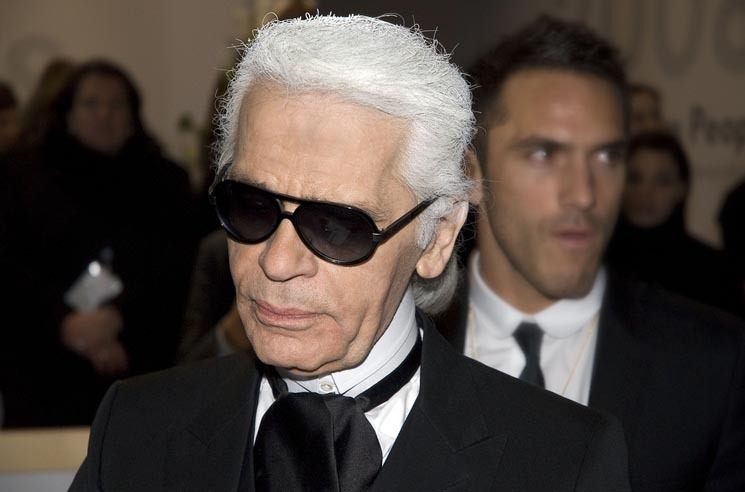 Fashion icon Karl Lagerfeld passed away this morning at the age of 85. The cause of death has not yet been revealed. He was the creative director behind Fendi and Chanel from 1965 and 1983, respectively. In the '80s, he debuted Chanel's iconic "CC" logo, featuring the interlocking initials of Coco Chanel. Lagerfeld also collaborated with musicians, designing tour outfits for Madonna and Kylie Minogue, as well as contributing to Pharrell's book Pharrell: A Fish Doesn't Know It's Wet. Lagerfeld also directed a short film called Once Upon a Time… in 2013, casting Keira Knightley as Coco Chanel and Clotilde Hesme as her aunt Adrienne Chanel. He also, however, frequently came under fire for comments he made about female celebrities' appearances. He once called Adele "a little too fat," and claimed that he didn't like Pippa Middleton's look, praising Kate Middleton's beauty, but saying, "I don't like the sister's face." Nevertheless, he has received an outpouring of sympathy from Hollywood celebrities, models and musicians alike in the wake of his passing. See some of those messages below. Fashion world loses one of its most influential designer. ​Emma Bunton Confirms Spice Girls Reunion Tour Is Still On: "Of Course It's Happening"